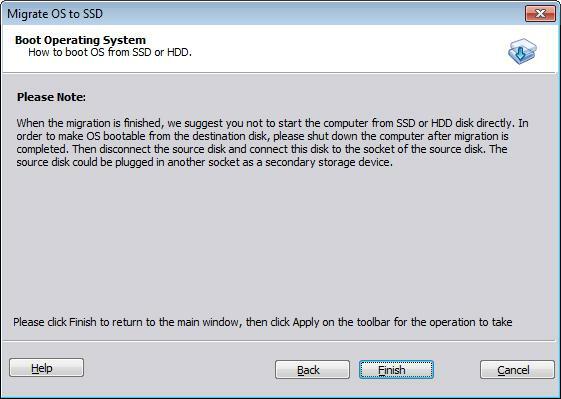 Why we need to migrate only OS to SSD or HDD? Solid State Drive (SSD) has s faster reading and writing speed than traditional Hard Disk Drive (HDD) and can minimize the chance of data loss due to shaking and knock. It can also work under a large range of temperature (most from -10 to 70℃) than tradition disk (5 to 55 ℃). So it is a better choice to set SSD as system disk to get better performance and decrease boot time, as compare to HDD. 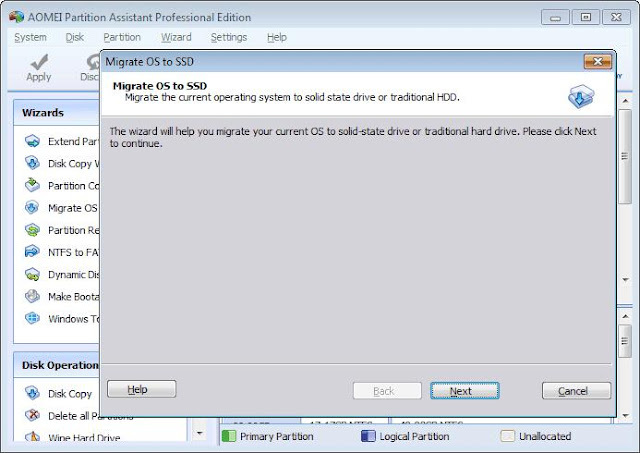 So in this article, we are sharing a detailed guide and tutorial to Migrate Operating System to Solid State Drive or Hard Disk Drive by using AOMEI Partition Assistant Software. 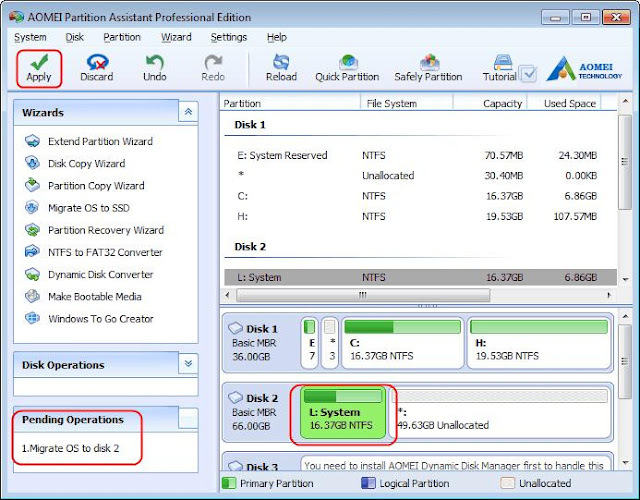 What's New in AOMEI Partition Assistant Features? AOMEI Partition Assistant has a function named "Migrate OS to SSD" or "Migrate OS to HDD", which is specially designed for users who want to quickly migrate OS to SSD without reinstalling Windows operating system and applications. You can migrate the operating system to new hard disk or a speedy new SSD without reinstalling everything with AOMEI Partition Assistant. AOMEI Partition Assistant also supports to resize partition, merge partition, split partition, clone hard drive Windows 10, create a Windows 10 To Go Bootable USB drive, shrink volume Windows 10.etc. AOMEI Partition Assistant has been updated to 6.1 now. which is currently the latest version available for users. It also support to create second Ext2/Ext3 partition on SD cards and USB flash drives without formatting and it also support functions related to drivers which are not digitally signed with EV certificate on Windows 10 anniversary and creators update version. How to Migrate OS to HDD or SSD without Reinstalling using AOMEI Partition Assistant? Step 1: Download AOMEI Partition Assistant, install and launch it. On the main interface, click "Migrate OS to SSD" on the left side under Wizards column. In the pop-up window, click "Next" to continue. 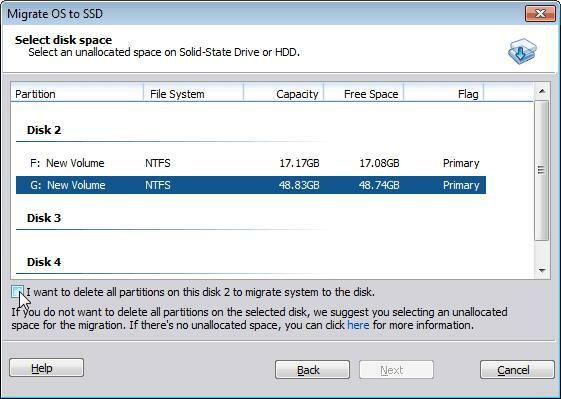 Step 2: Now select a partition or an unallocated space on the destination disk (SSD or HDD), and then click "Next". Step 3: In this window, you can modify the information (including size, location, and drive letter) of the partition on the new disk, you can also keep default settings. Step 4: After setting up all the information, then click "Next" to read the note about "Boot Operating System". Step 5: Click "Finish" back to the main interface where you can preview changes. To save the changes and click "Apply" button to commit the "Pending Operations". AOMEI Partition Assistant is a partition manager that supports extend/resize/shrink volume, create/delete/format/wipe partition, and make bootable media. 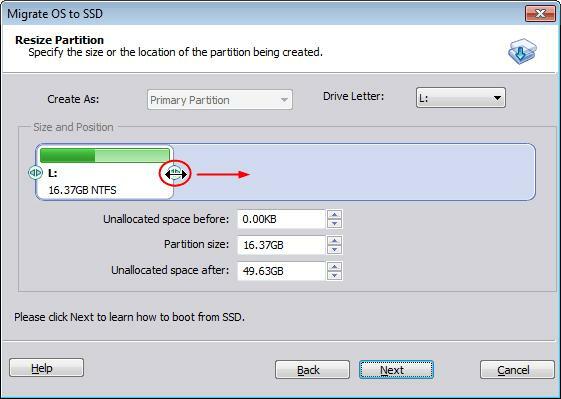 AOMEI Partition Assistant can help you successful booting from the target disk SSD. It really helps you save a lot of time and energy. So, what are you waiting for? free download and install now!